"To build happiness is our happiness"
Since its foundation in 1965, Yapı Merkezi's mission has been "to create and to realize construction projects that will serve humanity by creating happiness environments". As the first and largest company of the Yapı Merkezi Group, Yapı Merkezi Construction and Industry Inc. has realized the design and construction of a wide variety of building and heavy construction projects. Since 1980, the company has also realised contracts in countries abroad such as Sudan, Dubai, Algeria, Morocco, Russia. Yapı Merkezi Prefabrication Inc.,established in 1978 with considerable experience and know-how in the prefabrication sector was the first company in its field to obtain the ISO 9001 Quality Assurance certificate. Yapı Konut has joined the Group in 1994, endeavoring to develop high quality and comfortable homes and accomplishing prestigious projects such as Çamkonaklar, Sokullu Estates, NP12 Estates, Şişli Plaza and the Arkeon Housing Complex. 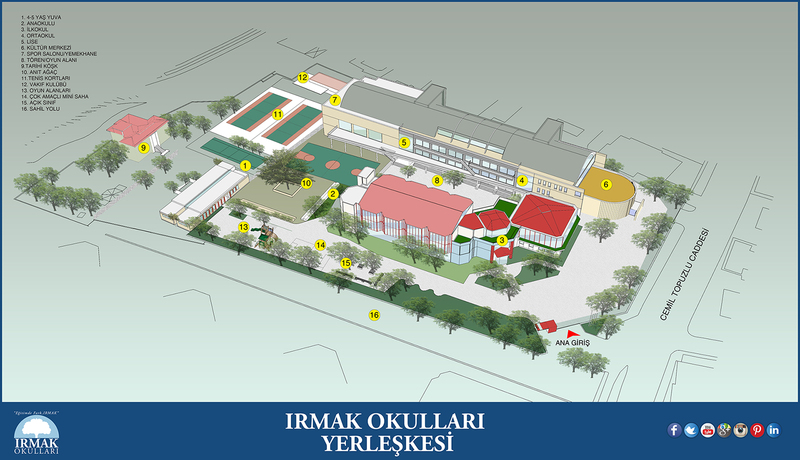 In 1995, Nitelikli Eğitim Institutions Inc. (NEKAŞ) was founded and Irmak Okulları, educational institution was opened. As Turkey’s first school to obtain ISO 9002 certificate, Irmak Okulları continues to serve its uniquemission. In 1996, the Group has introduced SUBOR Boru Sanayi A.Ş. to manufacture high-end technology composite construction materials. With fifty percent of capital owned by the “Amiantit Group”, SUBOR today is the national leader in the manufacture of GRP Pipes.. Ultimately, Yapı Merkezi Holding was established late 1998 to build a more effective financial and administrative structure in the strategic framework to strengthen the Group culture. Yapı Merkezi has completed 45 years of activity in the year 2011. Through its specialized companies, Yapı Merkezi has realised numerous successful national and international projects within the fields of transportation systems, rail systems, tunnels, bridges, viaducts, industrial and general service buildings, mass housing and city planning, water collection and supply systems, restoration, strengthening and repair works. 2004 UITP (International Association for Public Transport) "Light Rail Project of the Year" Award is given to ESTRAM (Eskişehir LRTS), UITP "2010 Best Urban Integration Project of the Year" and British Light Rail Transit Association’s "Worldwide Project of the Year" Awards are given to Kayseray (Kayseri Light Rail System) both realized by Yapı Merkezi. Yapı Merkezi also endeavors to become a world brand in the field of rail technologies and signaling. The Consortium, composed of Yapı Merkezi and its Japanese partners Mitsubishi, Obayashi and Kajima, has delivered the Red Line which is the first stage of Dubai Metro and it has started operation on 9th of September 2009. Algerian and Casablanca Railway Systems are among international projects that are currently in progress. The Ankara-Konya High Speed Railway project will become yet another milestone of the Turkish railway system experience chain. In 2005, bridges have been designated as the new field of expertise, followed by the successful completion of the El Mek Nimir Bridge and Al Halfaia Bridge in Khartoum,Sudan. Being the pioneer in the production of 1000 kg/cm2 strength concrete in Turkey, Yapı Merkezi’s R&D department has increased the 7day concrete strength up to 3000 kgf/cm2 and has manufactured translucent concrete. Yapı Merkezi, always considers the development of society , the progress of world civilization, happiness of the people and satisfaction of its employees customers as its top priority in all of its activities. Since the early days, the company has given great importance to quality, accumulation and processing of knowledge and the development of new technologies. The successful achievements of the company in the field of engineering have been repeatedly awarded in national and international science circles. Gençlik Kültür Vakfı was founded in 1968 to support education, culture and sport. The founding American members left in time and only Turkish members of the board of directors have been in control since then. This page was created on 29.5.2017 08:46:34 and has been visited 1929 times.